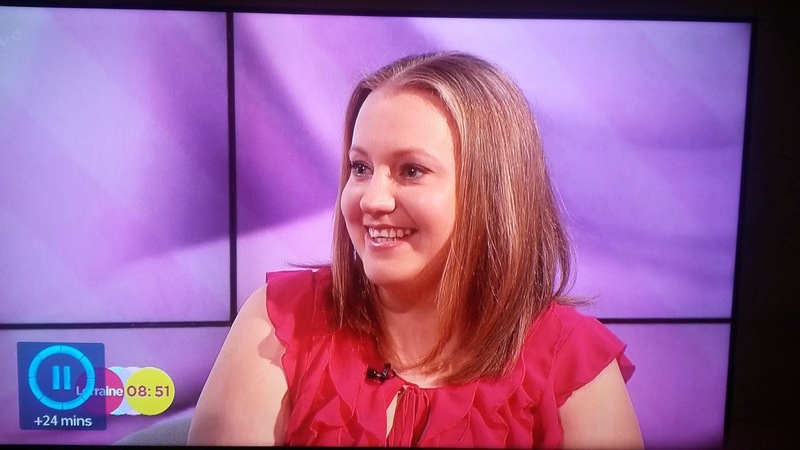 This morning, I, a stay at home mummy to two, was on live national TV. WOW!! Why? For something very non glamorous. Something I had been hiding away for the past 10 years, but which is actually very common. 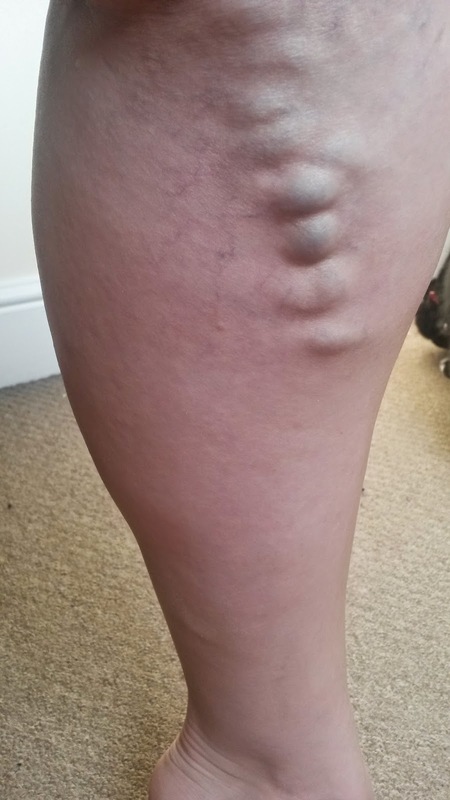 Varicose Veins. 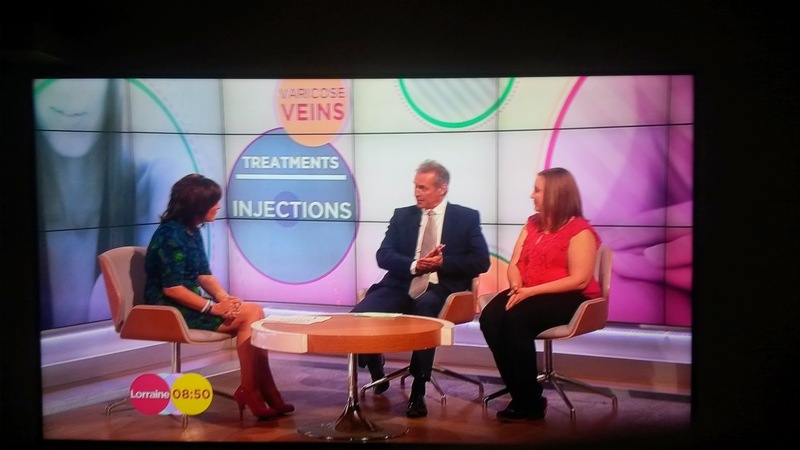 Last week, I had an email from my sister, stating that the Lorraine show were after people with varicose veins, and I would get a trip to London out of it. I thought about it, and went for it. Id been wanting to go to London for months with the girls, but the expense of it always put me off. So I sent the first email off, and was expecting that to be the last I would hear. But after about 3 hours, I had a reply, they were interested and wanted to know more. So we had arranged a phone call. Unfortunately, due to the very quick house viewing earlier in the week, I could not pick up. I thougt I had lost out, but was relieved when they were still interested when I called back several hours later. Then it was the case of photos... eek! My vein is hideous, when I have a bad day, I cant even shave my leg with fear that I could damage it. And on a good day, which is extremely rare, it looks almost flat to the surface. (about twice a month) This is the photo I sent, and which went on TV for the nation to see. They had some other ladies interested, so they were keeping their options open until Tuesday, when I got the green light that I was going, just as I was going for my pamper session. Then it was the case of what do I wear? By the time I got back from my pampering, I had 45mins until I had to be at the car garage, so a quick trip to Matalan and Tesco, but it drew blanks. Thankfully a friend mentioned an old pink top that I had forgotten about, and the light bulb moment clicked on. I had an outfit. ITV also confirmed that I could take the girls. They paid for our train return, hotel, evening meal and breakfasts, as well as a shofar driven car around London. Which was very very helpful. The day came that we were due to travel down. J had a nursery school trip first though, meaning we couldn't travel until later, which meant a very late night for both girls. Then it was today, the day of the live broadcast. I hardly slept a wink thinking of all the questions and answers, would the girls behave, would they come running on set? Would ITV be able to cope with S? I needn't of worried. They were all very nice, and extremely calming. I was introduced to so many people, and I honestly cant remember them all. We were taken to the 'green room' (which isn't actually green! Yes, I was asked to find out, teehee) S noticed the platter of fresh fruit straight away and dived into the melon, and J was given a glass of juice. The girls were being little angels, probably due to the lack of sleep, but I was sure its just a ticking time bomb. S had her reins on in case she ran, and they came in handy several times. Just after settling, I was taken for my hair and makeup, S being tired didn't want to leave me, and therefore, J wanted to follow too. When I was being made up, a very kind, lovely producer, noticed I had the two girls in tow, and offered to help entertain them, and she did a fantastic job. If she reads this, THANKYOU!!! 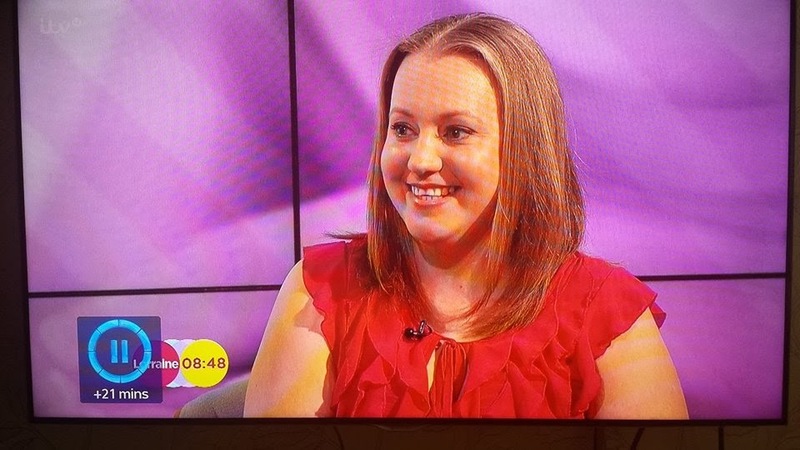 I had my hair and makeup done by a professional make up artist, around the other famous faces of ITV, and then taken back to the green room where I was micro phoned up. Wow, this is getting real!! Here is some photos from my 5 minutes of fame. I was asked about 3 questions, which I was really shocked about, as they had invested so much time and expense into getting me there. But I was not complaining. I was like a rabbit in headlights when the cameras turned. I was told to ignore they were there, and I tried my best. 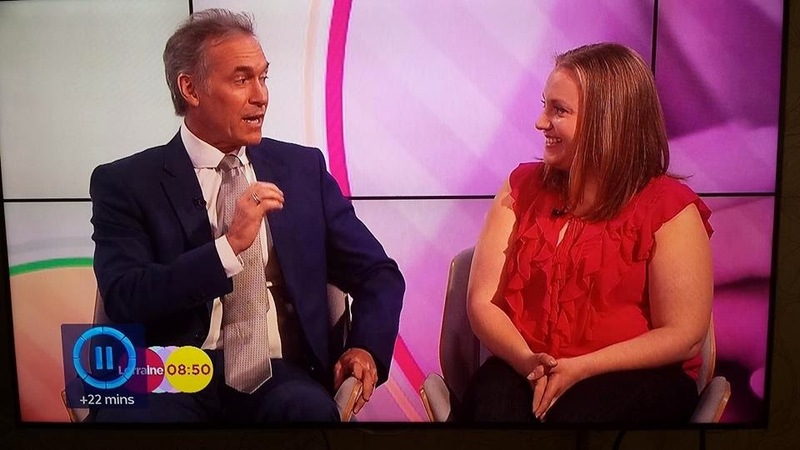 At the end of my slot Lorraine said it would be great to get me fixed and into summer dresses ready for the summer, that was a shock, as nothing was said to me beforehand, and I was then whisked away for the next slot to happen. It was all fast moving, and very surreal. When I returned to the green room, I was told our car was ready for us, so we packed up and left. It was a shame not to meet Lorraine properly off air, but it was a fantastic experience. Since arriving home, I emailed ITV about Lorraine's comment, and they are looking at following it through. As soon as I read the email, my face was beaming, smile from ear to ear. I really hope they can help, I can start to be feminine again, and wear clothes I've always wanted to wear. But can understand if they don't, its a lot of money for such a small time slot, but it would change my life, so I'm keeping every thing crossed. Since returning home, the girls have pretended to put make up on each other with clean paint brushes, so they were taking it all in. 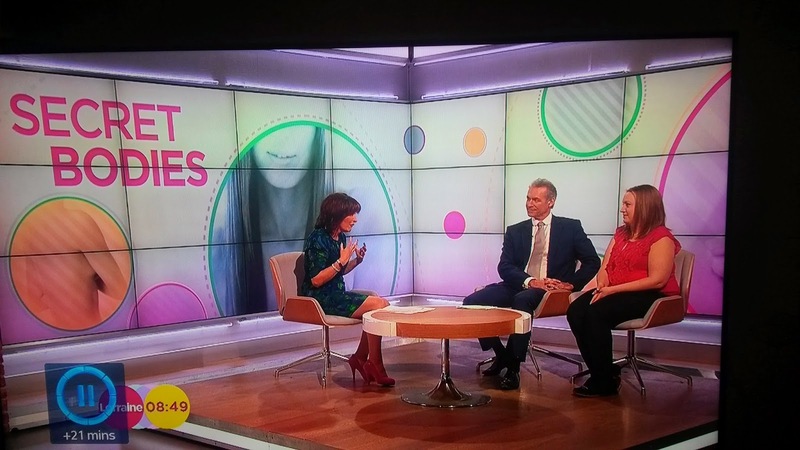 I was so proud of both of them for being so well behaved in the studios, even if the time bomb did explode, with a major tantrum in the middle of the Science museum later in the morning.